A series of treatments tends to produce dramatic results. Cosmetic Acupuncture is an ancient technique that increases muscle tone and promotes collagen production resulting in diminished wrinkles and firmer skin. Sessions of 10—15 weekly treatments typically provide excellent results, and are maintained for 2—5 years by monthly maintenance sessions. Wrinkles: Defies aging. Diminishes frown lines, crows feet, worry lines. Perspiration: Eliminates the problem of excessive perspiration. Botox reduces or eliminates problem underarm perspiration. Muscle Spasm: Useful in the treatment of back pain and migraine headaches. Restylane/Perlane, Juvederm, Voluma, Volbella, Teosyal, and Redensity II are non-animal substances which immediately reduce facial creases and scars. The variety of fillers allows Dr. Fisher to choose the precise product to ensure a natural result for each client and specific area treated. Age, heredity, sun exposure and smoking can contribute to thinning lips, and asymmetry with lines above and below the border. Dr. Fisher is known for her subtle, natural results in restoring your youthful lips. As we age, our earlobes lose volume and the skin wrinkles. Dr. Fisher specializes in injecting the appropriate Dermal Filler for you to restore youthful volume to the lobe. Treatments: Dermal Fillers: Restylane, Perlane, Juvederm Ultra, Juvederm Ultraplus, Teosyal, Redensity 2. 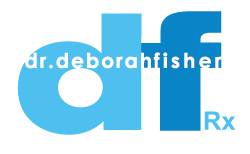 At DFRx, Dr. Fisher can improve the appearance of pigmentation, redness, horizontal lines and sagging skin. Treatments: VPL, Trifractional Radiofrequency, Botox, Dysport, DFRx Medical Grade Chemical Peels. More than 80% of women of all ages have some degree of cellulite. Today at DFRx, Dr. Fisher utilizes the most modern, effective, safe and comfortable treatments to achieve skin tightening. To achieve the best results, procedures include one or more of: Radio Frequency, Dynamic Muscle Activation, non-ablative fractionated laser scanning, Variable Pulse Light (VPL) Therapy, and DFRx Medical Chemical Peels. At DFRx we use VPL (variable pulsed light), a state of the art technique, to perform our Fotofacials. This light-based technology is very successful in reducing pigmentation caused by the sun and excessive redness caused by superficial blood vessels. Even active acne responds to these treatments. Treatments: VPL- variable pulsed light and Fotofacial, Iridex Laser performed by Dr. Fisher, Fractional Laser, an extensive offering of Medical Grade Chemical Peels, Microdermabrasion, DFRx Medical Grade Skin Care Products, Rx Medications covered by most drug plans. Treatments: Maximus TriLipo, Radiofrequency, TriFractional Radiofrequency, Fractional Laser. Folliculitis is inflammation of the hair follicle often appearing as many tiny bumps on the back of the upper arms. Treatments: DFRX medical grade at home treatment. Laser Hair Removal has been extensively researched, tested and proven highly effective in permanently reducing unwanted hair. It works on just about any treatment area of the body where smooth skin is desired: legs, face, underarms, neck, back, chest, shoulders, hands, and bikini area. 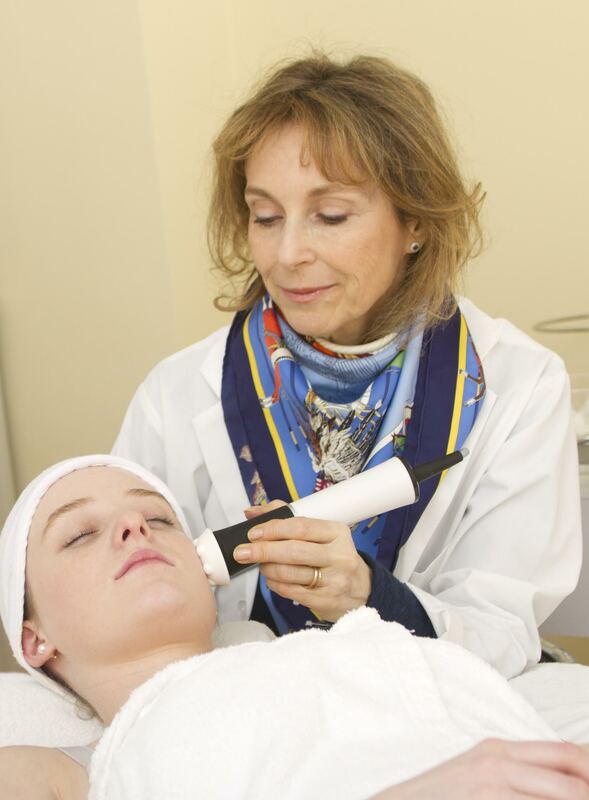 We have three different HPB Health Canada approved lasers to address your skin and hair type and area treated. The Asclepion with its continuous contact cooling is one of the fastest hair removal systems, and the Gold Standard for hair removal in Europe. The Energist UltraPlus VPL with a built in cooling system for Skin types I to IV is effective in reducing even finer hair. and the Varilite by Iridex is great for those hard to reach areas, like nasal hairs. Asclepion MeDioStar XT provides safe and efficient hair reduction. Our laser is one of a wide range of diodes used in medical laser devices. The MeDioStar Effect diode offers elevated power. This power ensures greater skin penetration, indispensable in hair removal for destroying the deepest follicles. It is one of the fastest, most effective and most comfortable laser hair reduction technologies available and suited to all skin types including darker skin. The UltraPlus VPL™ Hair Removal technology is the most advanced professional hair removal system available today. Unlike older hair removal treatments which use intense pulsed light, treatments with variable pulsed light are far less painful. Variable pulsed light uses different colours (wavelengths) of light to selectively heat the hair through light absorption.